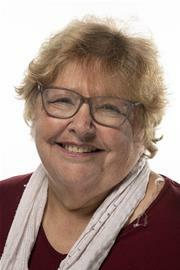 Zena is currently councillor for Harringay Ward and Cabinet member for Civic Services. She has been a councillor for almost seven years, serving on many different committees and in many different roles. Prior to that she had a long and varied career in public services, which has given her a clear and comprehensive understanding of social and public policy. After university and qualifying as a teacher, Zena spent seven years as a community organiser in inner city Boston, Massachusetts, where she established and supported a local neighbourhood board advocating for children’s services. This amazing experience set the course for her future career, which has always been underpinned by a commitment to community engagement and participation. On returning to the UK in the 1980s, she established a voluntary agency in Camden for children and families with learning difficulties, which promoted social and educational inclusion. To her great pride this is still thriving over 30 years on! She then spent 20 years working in Haringey where she developed Haringey’s play and early years services, gaining national recognition for the services provided. She led Haringey’s Sure Start programme, serving on the Friends of Sure Start committee hosted by HM Treasury. Working in regeneration, she also led on securing Haringey’s £50m New Deal for Communities - a 10 year community development programme focused on Seven Sisters. After working in neighbourhood management, she moved to Islington where she supported the children’s centre programme. Zena has also worked to support Roma communities in eastern and central Europe to develop early years services, enabling Roma children to access mainstream education.